A teenager was arrested in Mexico Tuesday night on an attempted capital murder charge after he allegedly stabbed a taxi driver near the Progreso–Nuevo Progreso International Bridge last week. 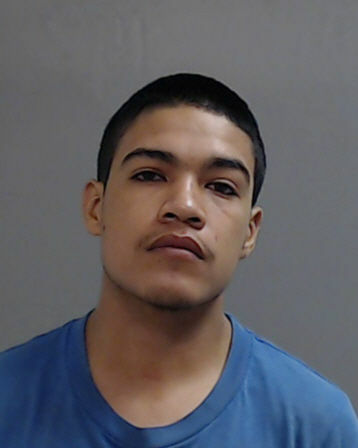 Alfredo Villanueva Jr., 18, was arraigned Wednesday on the second degree felony charge and Precinct 1, Place 2 Justice of the Peace Jesus Morales set his bond at $500,000. The charge carries a sentence of up to 20 years in prison if convicted. Villanueva is accused of stabbing a 56-year-old female taxi driver multiple times in the face with a knife on the night of Aug. 25 after she picked him up at the Progreso port of entry, according to the Hidalgo County Sheriff’s Office. The woman was able to drive herself to Knapp Medical Center in Weslaco and has since been released from the hospital. Villanueva is a U.S. citizen who lives in Mexico, according to the sheriff’s office, and he crossed back into Mexico through the Progreso port of entry after the attack. He was arrested Sept. 4 with the assistance of Mexican authorities, U.S. Customs and Border Protection and a sheriff’s investigator assigned to the U.S. Marshals Fugitive Task Force.